Admittedly, it has been a while since I’ve seen something from the “indie” scene; I put “indie” in quotes because I am referring to movies that are still able to afford the paychecks of big actors, namely everyone that was in The Grand Budapest Hotel. The last one I saw, barring the short film Lie, was The Perks of Being a Wallflower. Those of you who read my review may remember that I wasn’t overly in love with Wallflower, which stemmed from its cliched story and a rather underwhelming performance from Emma Watson. However, The Grand Budapest Hotel is not the first Wes Anderson film I have seen. I have seen his earlier The Darjeeling Limited, a very quirky yet enjoyable comedy. The Grand Budapest Hotel is, if you can believe it, a story within a story within a story within a story, where a girl reads a book where the author (Tom Wilkinson/Jude Law) writes about meeting Zero Moustafa (F. Murray Abraham), who tells him how he came into possession of The Grand Budapest Hotel. Zero’s tale involved a stolen painting, a murder conspiracy, and a union of hotel concierges. In my opinion, Wes Anderson is one of few modern directors who has a distinctive style. While Django Unchained was top-to-bottom a Quentin Tarantino movie, I thought Lincoln did very little to distinguish itself as a Steven Spielberg film. 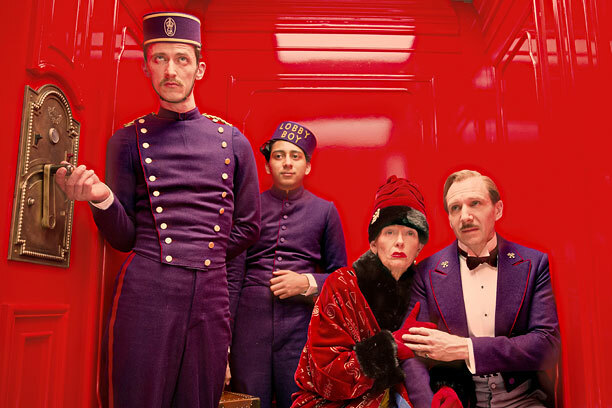 The Grand Budapest Hotel had an interesting visual style. The movie took place in a fictional European country modeled very, very loosely on Austria between the World Wars. The setting design stood in stark contrast with the characters who, with exception, spoke English with American accents. That detail was intentional and used for comedic effect. The Grand Budapest Hotel featured an extremely tight script with some extremely talented actors reading it. Everyone from newcomer Tony Revolori as the younger Zero Moustafa to older veterans like Jeff Goldblum (First time in a while I’ve seen him do something!) as Deputy Kovacs turned in terrific performances with perfect comedic timing. Even bearing the comedy in mind, the movie’s story was also very thoughtful, where not a second of the movie’s runtime was wasted. In general, I would definitely say The Grand Budapest Hotel is a movie worth checking out. Wes Anderson has a quirky style which I find to be very appealing, and in general is among the best “indie” films have to offer.